Online Macroeconomic Data Analysis of Commodity Markets course is a must for anyone who wishes to see himself or herself as a professional commodities trader. Unlike other markets, commodities market is one where Macroeconomic Indicators (MEIs) play a vital role. 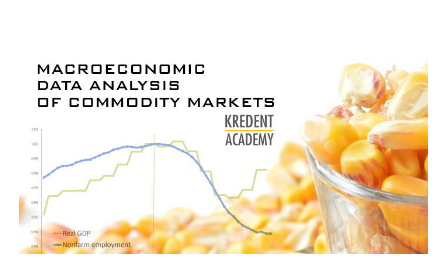 Thus it is essential to have a clear grasp and understanding of the MEIs and the role they play in commodity markets. This programme lays emphasis on these aspects and provides a perfect platform for any student in the commodity market. It enables the students to get a clear understanding of the impact on MEIs on commodity fundamentals and an insight into the scope of programmed trading by using MEIs. After successful completion of the course, students will get a "Certificate of Completion"
Online Macroeconomic Data Analysis of Commodity Markets is useful for individuals who want to be professional traders in the commodity markets. It provides theoretical knowledge and practical applications of MEIs and their role in the commodity market. Students wanting to build their career in the commodity markets small investors and financial service professionals can also benefit from this course.